Here we are providing you with every detail of the fees structure of the colleges and universities in Arizona. The list includes both private and public institutions, and the list will be having all the fees for undergraduate courses. And the fee structure mentioned here is as per the latest source, and this may change in the coming year. While considering the list, we advise you to remember that it is a composite fee and the scholarships and funds you may get, need to be deducted by you only. 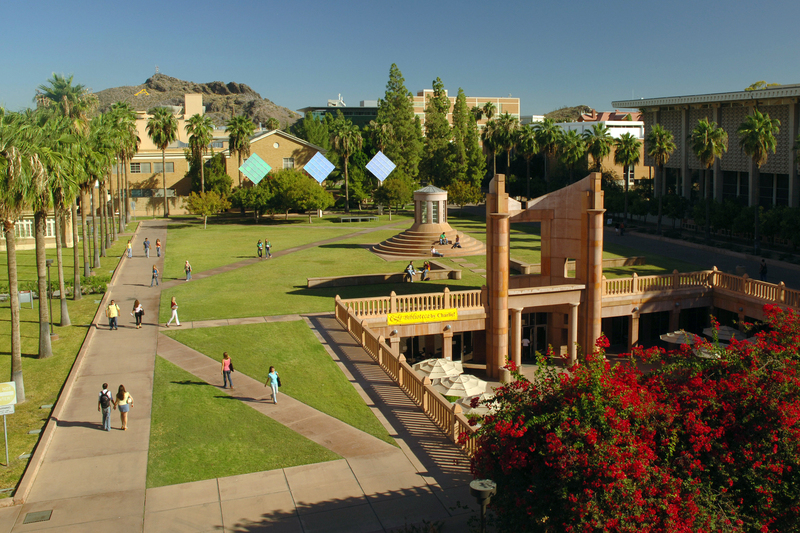 Arizona State University is quite famous among state institutions. It’s based in Tempe, and it has campuses in downtown Phoenix, Mesa, Glendale and Lake Havasu City. The tuition fee for the undergraduate course is $10822 per year for students from the state and $28336 for the students from outside the state. It is also a Public University based in Tucson. It has medical schools in Tucson and Phoenix. The fee here for undergraduate courses is $12447 per year for the in-state students and out-states students; it is $36346 per annum. North Arizona University (NAU) is a public university. It has campuses at Tucson, Phoenix and other cities in the State. Tuition fee here is $11564 per annum for state domiciles and outsiders; it is $25828. This University is a private run university. It is in West Phoenix, and the course fee here is $16500 for all kind of students. It should be noted here that the university has got non-profit status recently and it used to operate as a for-profit institution for years. This university is also a private run catholic university. It is based in Illinois. It has a branch in Mesa. The tuition fee here is $22400 for one year. It is a private run university. It has a campus in Phoenix. It’s a non-profit Christian institution. Tuition fee here is $25476 a year. It is a privately run non-profit institution. It has a special focus on aviation and aerospace. It has various kinds of courses. But the average tuition fee for the undergraduate course is $35654 per year. Ottawa University is based in Surprise, and it is also a private run, non-profit Christian institution. The tuition fee here is $26500. It has other fees as well, and it is based on the activity it is linked with. This is a comprehensive list of universities in Arizona and an approximate fee structure of the universities mentioned. It is definitely important to know the fee structure before applying to any institution. It is not totally false that education here in the United States is costly. But, with this cost comes quality. That is the sole reason the United States draw a maximum number of international students, and our education system is considered as one of the best in the world.